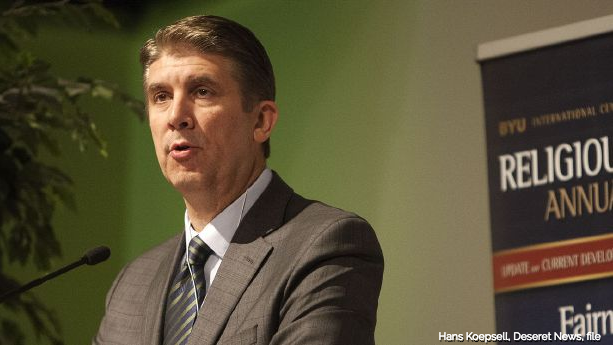 Utah Valley University President Matthew Holland has earned the Executive of the Year award from an education news service, which cited his aligning of the university’s mission to better prepare students for the state’s workforce. Holland, who took the helm at UVU in 2009, won the award from Education Dive, an industry leader news source with about 29,000 readers. Those readers were asked to suggest nominees who are the “top disruptors and innovators” nationwide, UVU spokesman Layton Shumway said Tuesday. “With the help of a panel of industry insiders, winners were chosen by the editors of Education Dive based on resonance and industry impact,” he said in a statement. The article announcing the award praises Holland for maximizing UVU students’ ability to benefit Utah’s economy.